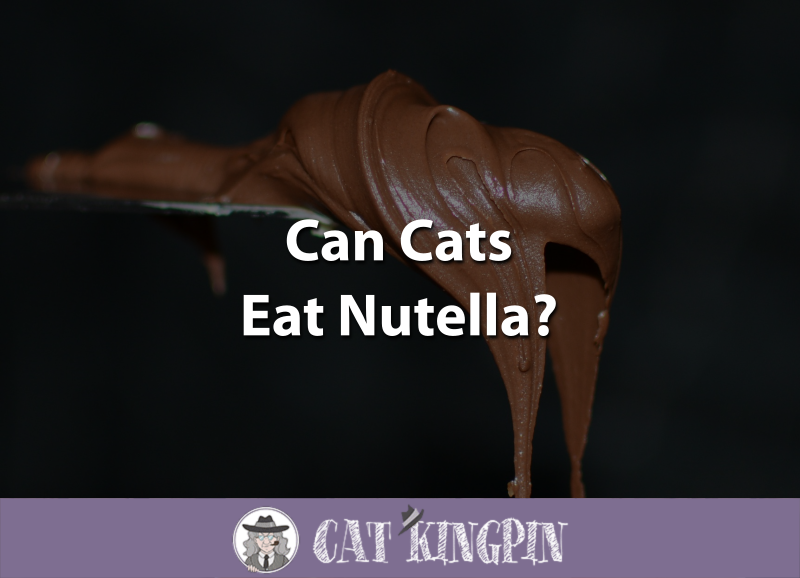 » Can Cats Eat Nutella? Some people may not admit it, but who doesn’t like nutella? Once advertised as “part of a nutritious breakfast,” Nutella was forced to change it’s labeling in response to a lawsuit debunking these nutrition claims. Even if Nutella isn’t a health food, it remains as popular as ever. But, can cats eat nutella? Let’s find out. Unless you just recently arrived on Earth, you probably know about the sweetened hazelnut cocoa spread that is Nutella. With five main ingredients: sugar, palm oil, hazelnuts, cocoa solids, and milk powder, the popular “hazelnut cream” is sold throughout the world. Originally introduced by the Italian company Ferrero in 1965, Nutella production consumes almost 25 percent of the global supply of hazelnuts. Nutella isn’t the only hazelnut creme on the market. The Spanish Nocilla and German Nudossi spreads are a couple of the better-known hazelnut competitors. Even though this cat is clearly enjoying Nutella, that still doesn’t answer the question of whether or not cats should be eating it. After all, cats eat things they shouldn’t. No. Nutella is not a good food for cats to eat. With high quantities of sugar and fat, Nutella doesn’t really have much in the way of healthy nutrition for your cat. Furthermore, one of Nutella’s main ingredients is cocoa, which contains the chemical compound theobromine. Best known as the culprit that makes chocolate poisonous to dogs, theobromine, which is also found in tea, is likewise toxic to cats. While Nutella doesn’t contain a large amount of theobromine in a typical serving, eating too much could be dangerous for your cat. Cats should just say “No!” to Nutella. Cats’ livers lack many of the enzymes needed to break down toxic substances. 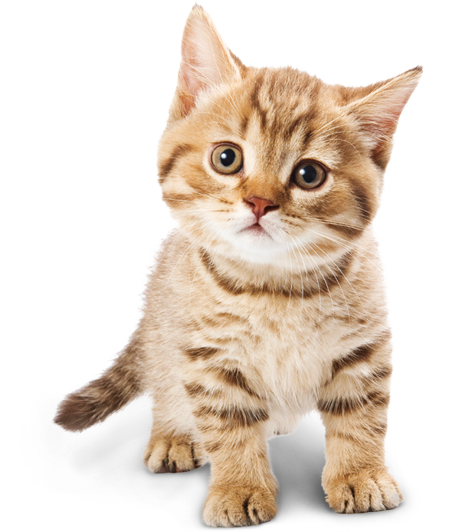 Kittens, with their still-developing bodies, are even more sensitive to toxins. For this reason alone, you should never let your kitten eat Nutella. Even the small amount of theobromine in Nutella could still be too much for their system. You should also keep in mind that adding foods to your kitten’s diet which are high in fats and sugars keeps them from getting all the nutrition they need from their regular food. A high-quality, grain-free kitten food has all the nutrients a growing kitten needs. So, it’s best to stick with something like Wellness kitten food or else Taste of the Wild kitten food. As far as benefits go, unless your cat is starving on a desert island with nothing but hazelnut spread to eat, Nutella provides little in the way of good nutrition. Made up of 58% sugar and 10% fat, Nutella has few essential nutrients a cat needs to stay healthy. About the only good thing you could say about Nutella nutritionally is that a two-tablespoon serving does provide 2 grams of protein and small amounts of calcium and iron. However, this doesn’t make up for the fact that you’re also consuming a whopping 200 calories and 11 grams of fat. While cats can enjoy a diet proportionately higher in fats than humans without any negative effects, that doesn’t mean it’s good for them. The main problem with cats eating a high-fat diet is they could become overweight. This can range from many different foods, from quinoa to the sugar in Nutella. Even more concerning, a two-tablespoon serving of Nutella contains 85.1 mg of theobromine. As cats do not have taste receptors for sweetness, you don’t often hear about chocolate or Nutella poisoning in cats. This is because they have no interest in trying sweet foods. While most cats won’t be harmed by eating small amounts of Nutella, why risk your beloved pet’s health by giving them something that contains chemicals known to be poisonous? In general, it’s best to stick with giving your feline companion a high-quality cat food like Blue Wilderness which is grain-free and is primarily made with meat. If you really want to give your cat a spreadable treat, peanut butter is generally a much safer and healthier option. So, can cats eat Nutella? Now we know that cats really shouldn’t eat Nutella because it provides almost no nutrients and contains theobromine which can be toxic to cats. While small amounts probably won’t hurt them, why take a risk? If you really want to give your cat a sweet treat, try a natural, low-sugar peanut butter. Even better would be a safe and healthy sausage-flavored cat food or treat. If the issue isn’t so much your feline companion’s cravings as it is your love of cats and Nutella, show-off your infatuation with this cool Nutella Cat pillow case. You’ll probably be the only person on your street with this.